By far the most popular home heating option on the market today is the furnace. Especially if you already have ductwork installed, furnaces provide an even, consistent heat to all areas of your home. Larry & Sons offers a great selection of furnaces, and we provide professional furnaces installation and replacement services to all of our area clients. When you call us for all of your Hagerstown, MD area furnace needs, you will not have to worry about being left out in the cold this winter. There are quite a few elements to take into account when you are trying to pick the best furnace for your home. One thing to consider is what type of energy source you will be using. Gas is a popular option for furnaces, but oil furnaces are also very effective. Another thing to compare when you are selecting your furnace is energy efficiency. This is generally expressed in terms of an AFUE rating, and modern furnaces start at 80% AFUE. All Energy Star furnaces have an AFUE rating of at least 90%, which means they turn just about all of the fuel they consume into heat. The functional difference in terms of operating cost between an 80% and a 90% AFUE increases the more you use your furnace. This is important when you are deciding what to buy because, while an 80% AFUE might be cheaper initially to install, the 90% AFUE will save you much more over time if your home has a heavy heating load. When you come to Larry & Sons for professional furnace installation in Hanover and the surrounding areas, we will begin by walking you through the selection process to make sure you get the right furnace for your home. This includes a sizing visit to make sure all elements of your home’s dimensions are taken into account. We will then go over with you exactly what the installation process entails, whether you are installing a gas or oil heating system, so you will know what to expect at every step of the way. A new furnace is a significant investment, so it is easy to see why you would want to put it off for as long as possible, but there are several good reasons to replace your furnace sooner rather than later. For instance, if your furnace is more than 10 years old, upgrading to a newer model will immediately save you a considerable amount of money on your monthly heating bill. That is because even if your old furnace is well maintained and running smoothly, it is just not anywhere near as energy efficient as current models. 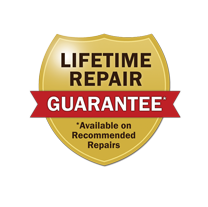 If you are having chronic problems with your furnace, you should also think about replacement. Even if the repairs needed on a regular basis are minor, those bills really add up over time, and you are going to need to pay for replacement anyway at some point. Replacement is also advisable if your furnace is having trouble keeping your home warm or if it is using an abnormally large amount of energy to do so. No matter what your Hagerstown, MD furnace installation and replacement needs are, do not hesitate to give Larry & Sons a call today. We are always glad to answer your questions or get you started on the path to a new gas or oil furnace for your home. Larry & Sons provides top quality heating and HVAC services in Hagerstown, Frederick MD, and the surrounding areas.